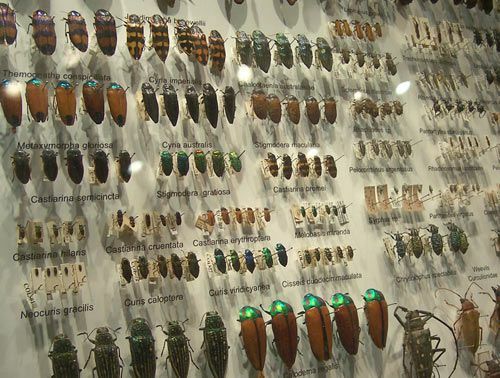 In 2005 CAMD began a process of seeking support to allow the richly diverse biodiversity collections available in museum natural history collections to be made available online to the world’s researchers. This ground-breaking initiative developed over time into the Atlas of Living Australia (ALA) which is now a joint undertaking between natural history museums, herbaria, university and Government collections and the CSIRO, with funding by the National Collaborative Research Infrastructure Scheme (NCRIS). To date the natural science museums within CAMD, including the Australian Museum, Museum Victoria, the Museums and Art Galleries of the Northern Territory, Queen Victoria Museum and Art Gallery, Queensland Museum, the Tasmanian Museum and Art Gallery, South Australian Museum and the Western Australian Museum, have contributed over 2.2 million records to the ALA. The Atlas was founded on core principles of collaboration, open access, and dependable quality of data. The result is a collection of more than 30 million records not only of specimens from museums and herbaria, but also field sightings from ‘citizen scientists’ . Each observation, however, meets rigorous international standards for biological data. There is no charge for using the Atlas, and it provides tools for assembling and analysing the data in different ways. The ALA also serves as the Australian node of the Global Biodiversity Information Facility (GBIF). Through its many beneficial outcomes, its high scientific standards and collaborative basis, the ALA is recognised as providing an excellent model of effective research infrastructure planning and funding. The wide variety of people now accessing Atlas information— researchers, public interest groups, government agencies and commercial environmental analysts both in Australia and overseas— is proof of its breadth of appeal. The Atlas will hold its first Science Symposium on 12-13 June in Canberra. For further information and to register visit the Symposium website.